ATD Austin - ATD Austin 2018 End of Year Awards & Celebration!!! ATD Austin 2018 End of Year Awards & Celebration!!! 1 free drink ticket with purchase. Includes preferred seating and 5 free drink tickets with purchase. 1 free drink ticket included. 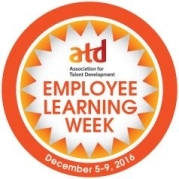 In honor of Employee Learning Week, the Austin chapter of ATD will celebrate the achievements and contributions of those in our local learning and development community. Hors d’ oeuvres and your first drink on us!